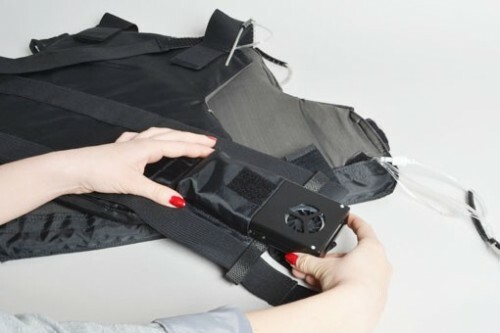 Protect Yourself And Stay Cool With This Air-Conditined Vest | OhGizmo! By David Ponce on 05/17/12 • Leave a comment! It’s unfortunate but accurate to say that people who wish or need to wear bulletproof vests do so at the cost of sacrificing their comfort. This is true most of all in warm weather where they will often simply be covered in sweat all day, until the tim comes where bullets directed at them are no longer a possibility. 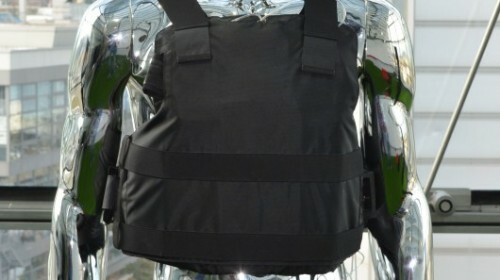 But a vest created by a Swiss company called Empa aims to change this. It’s outfitted with a cooling pad that they call the CoolPad, which is a semi-porous pouch that contains water. This water is able to gradually evaporate, cooling the air around it as it does so. The effect is further enhanced with the use of two little fans, which circulate the cooler air over the wearer’s body. It’s good for three to four hours of use before either the water or the batteries run out. However, it’s possible to refill the CoolPad with another portable refill station while the portable fans are also easily exchanged with ones that have fresh batteries, making it possible for an entire police force or army contingent to stay comfortable throughout the day.